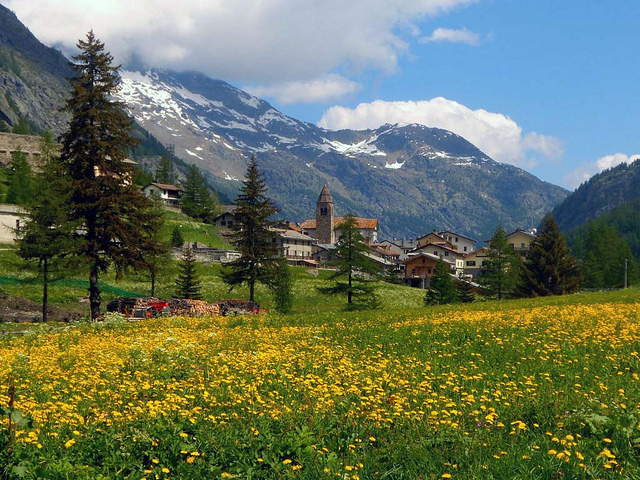 Closed in by the Rutor mountain group, the Grande Sassière and the Grande Rousse, the Valgrisenche is known as the snowiest of the side valleys of the Aosta Valley. The low temperatures throughout winter and spring keep the snow powdery for a long time. Situated well away from the busier circuits, this resort lies in a privileged position amid spectacular glaciers and lush woodland. Near the main village, Valgrisenche, (1664 m) is a ski area with 8 km of slopes, particularly suited to beginners and children, that run through conifer woods in a beautiful, unspoilt landscape. A chairlift and a ski lift run up to an altitude of 2000 m and can carry a total of 2100 people an hour. The slopes and glaciers of Valgrisenche are also ideal for ski mountaineering and heliskiing, with the aid of expert alpine guides. Get Snow Reports, Powder Alerts & Powder Forecasts from Valgrisenche straight to your inbox!